Is there a way to set page shadow for flip book so as to make it feel real? 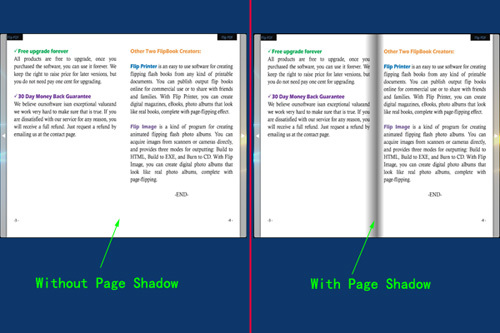 Have you ever imagined that a virtual flip book with page shadow that makes your book feel more real? make your interactive virtual page turn book more like a physical book via page shadow opacity setting. 4. Output the virtual animation book in designated format.